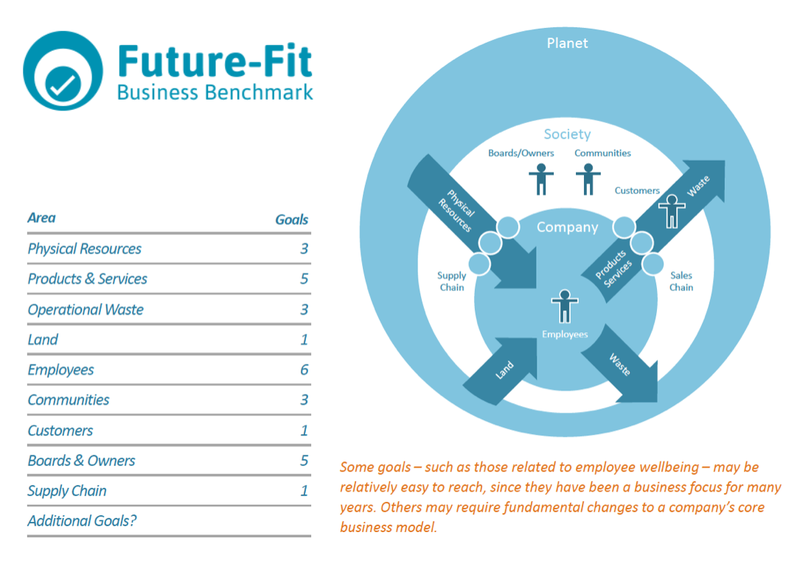 How would we know a future‑fit business if we saw one? How can we tell how far away a business is from being future‑fit? Step One: Identify a set of system principles that collectively describe how society can flourish within the physical limits of our finite planet. Step Two: Create a set of future-fit goals that every company must reach by mapping the system principles on to business activities. 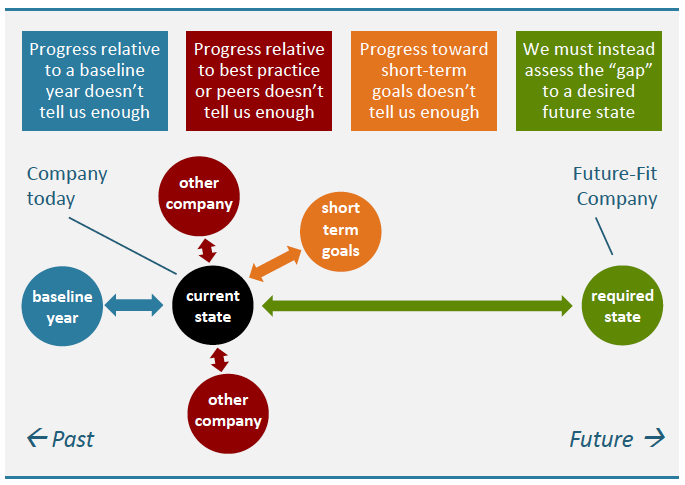 Step Three: Develop key performance indicators (KPIs) that can be used to tell how far away any company is from reaching the future-fit goals. Methodology Guide: What the Benchmark is, its scientific foundations, and how its key components were developed. This includes all-new guidance on Positive Pursuits: the ways in which companies can go above and beyond break-even, to accelerate society’s transition to future-fitness. The Methodology Guide is available for download now. Action Guides: Specific guidance for practitioners on how to transform business operations, procurement practices, and products to become Future-Fit. Each of the Break-Even Goals has its own guide, and one additional guide is dedicated to Positive Pursuits. Leadership Guide: Available in December, this new guide will equip business leaders to use the Benchmark in support of long-term value creation, for their companies and society as a whole. 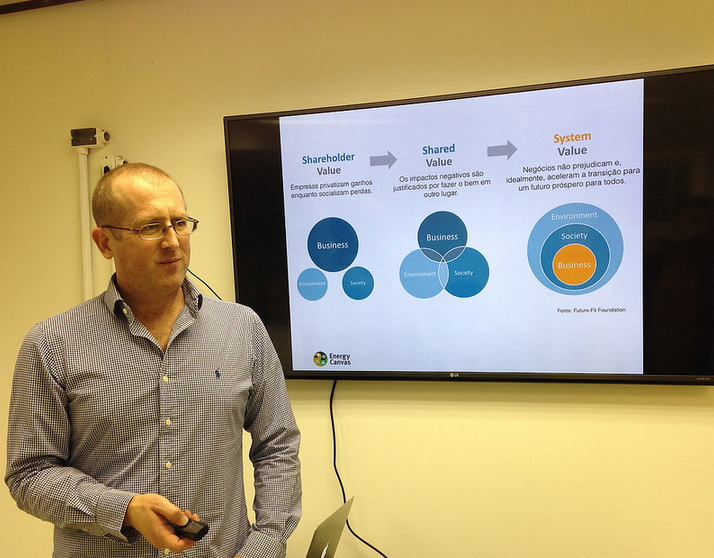 Here in Brazil and also on our global workshops and presentations Maria and I have been introducing the benchmark as part of our courses on Holonomics and Customer Experiences with Soul, alongside the Flourishing Business Canvas. This suite of documents explains how to set the right ambitions, how to take better day-to-day decisions in pursuit of those ambitions, and how to contribute authentically to the SDGs. Eight of the Action Guides are available now and the rest will follow soon. To find out more and to download the guides please click here.